I was exchanging a gift but I had to get out of there fast. 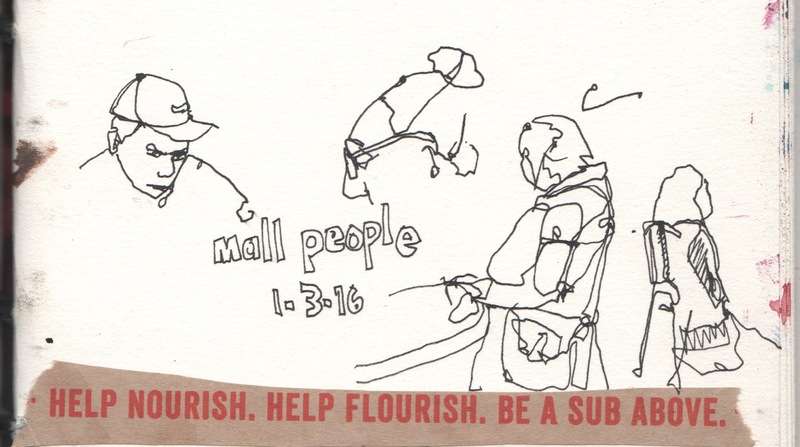 The mall was so full of people on a Sunday afternoon it made me crazy. 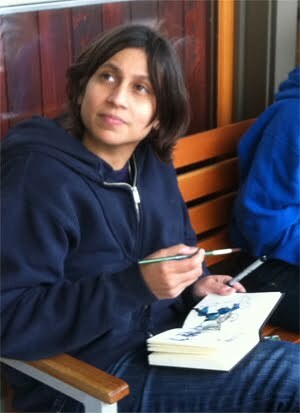 Retreated to the food court to sketch a bit using a rapido sketch pen.